Well after one of the most hectic, scary, and stressful weeks I can remember having for a very long time things settled down and I was able to release a lot of the tension by doing a race. 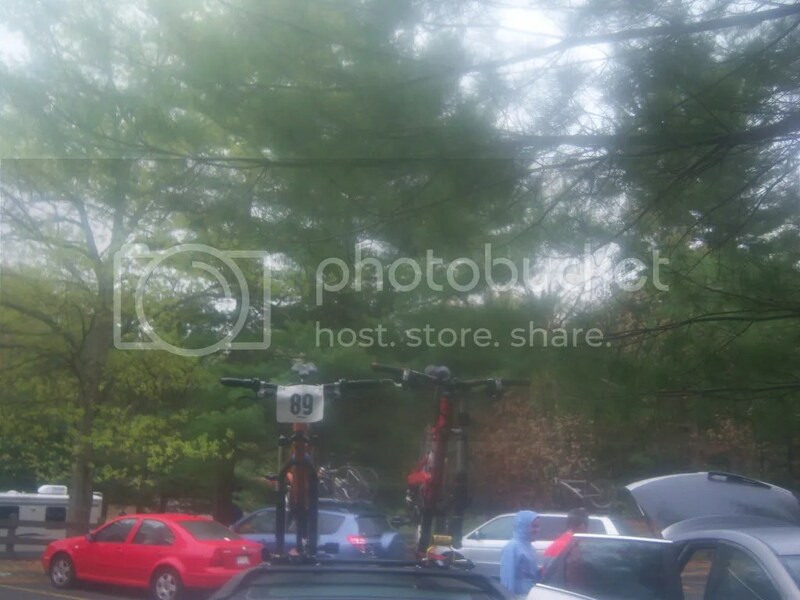 Pete and I headed down to Ashland, MA for the second year in a row for the Rockbuster Duathlon. A short, but extremely fun off-road duathlon put on by FIRM racing. The weather most of the Spring has been fantastic, but today it decided to mimic last years event and get cool and misty/rainy. The day also started a little crazy when I woke up to no power in the house and 30 minutes later than I wanted. Breakfast consumed and poops taken care of I waited for Pete to show up. We arrived at the park with no issues and the weather holding to a minor mist. Registration taken care of, another visit to the potty, and a warm up run in we then stood around and talked with the very fast Darcy Foley and then Clint Dowd. The gun went off and the first run leg began. It is amazing how fast some people are, like the 12 year old girl who ran the 1.8 miles just a hair slower than me. But, like a lot of multi-sport races the bike leg is were the big time gaps can happen. The course is not hard, but does require you to stay on the gas the whole time. I was only passed by one person on the bike leg and passed five myself. The second run leg came and this was the real test to see where my fitness currently is and if I just went too hard for the first two legs. I pushed hard and was closing in on the one guy who had passed me but came up 5 seconds too short. 9th Overall, 2nd in Age Group, plus some free brownies, yogurt, and even a hot dog made for a good time at a fun race. It has been awhile since I got to stand on the podium too, so that always feels good. 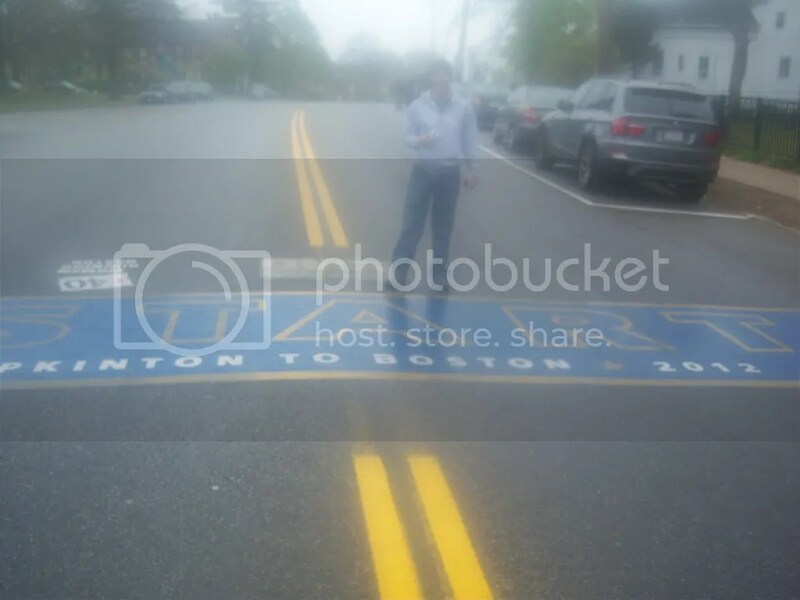 The cool thing about this race is that right up the road is the official start to the Boston Marathon. And of course we had to stop in the middle of the road….in the rain…and take a photo.